Emma Balder is a New England-bred visual artist. She received her BFA in Painting and Art History from the Savannah College of Art and Design. Emma was awarded a year long Staff Artist Residency Fellowship at the Vermont Studio Center and has received recognition in publications such as Studio Visit Magazine, American Art Collector and Fresh Paint Magazine. Emma has exhibited both nationally and internationally and her works are included in private and public collections such as the Dave Bown Projects. Emma currently lives and works in Denver, Colorado. She keeps a sustainable art practice, with a "no-waste" policy in her studio. 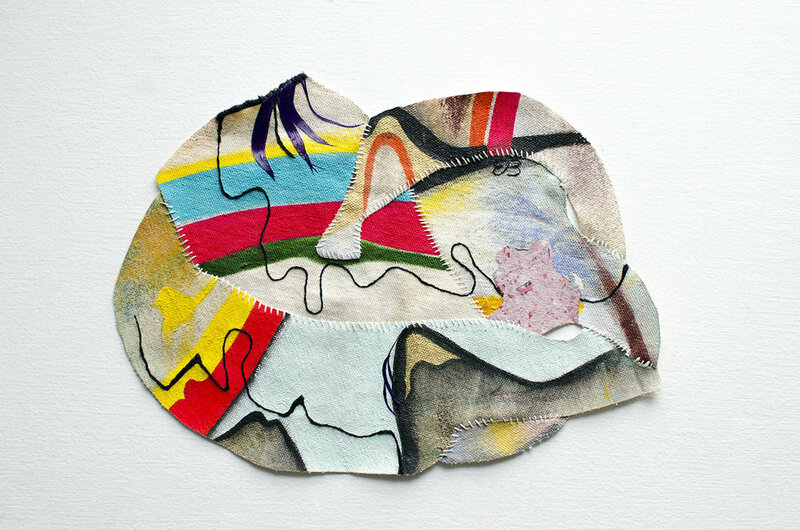 Donated waste from other artists as well as vibrantly colored found materials and scraps from her own studio, keeps Emma's practice full of excitement and constant evolution.